The Jewish Post reports that on March 17, Bland re-posted a message from social justice activst Jesse Rabinowitz about the mass shootings at a pair of mosques in Christchurch, New Zealand. 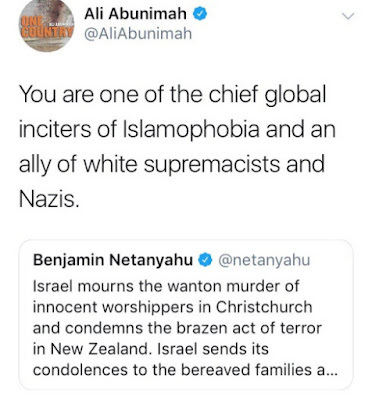 The shocking and bizarre screed blamed "Islamophobia" for the more than four dozen deaths at the hands of a crazed shooter, but in a way that laid the blame squarely at the feet of critics of anti-Semitism -- and the "American Jewish Establishment." "“The same language and hate that folks spew against Sisters Linda Sarsour and Rep. Ilhan Omar (D-Minnesota) killed 54 Muslims in New Zealand. You can’t stand in solidarity with the Muslim community and simultaneously disavow Muslim women for speaking their truths. 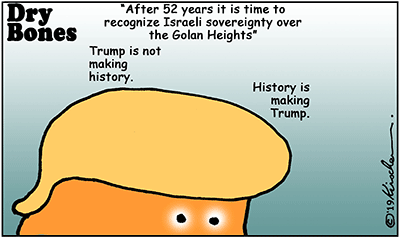 American Jewish Establishment, I’m looking at you," the post read. '.... 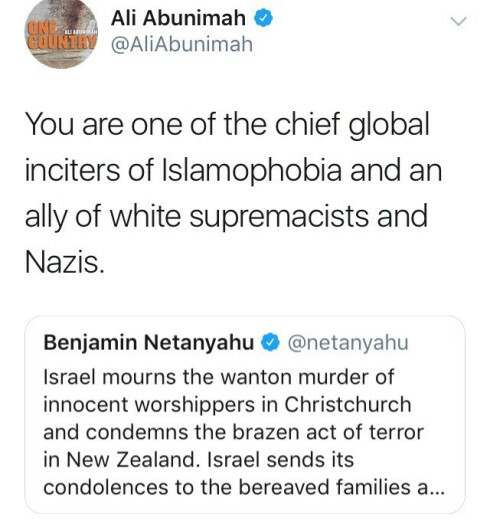 There is no doubt in my mind that Ali Abunimah’s tweet correctly singles out Israeli war criminal Benjamin Netanyahu as a leading architect of antiMuslim hate campaigns as well as an ally of white supremacists and Nazis. On Thursday, in what might be the most pitiful protest to date, San Francisco State University students attempted to "block" the MUNI tracks at 19th and Holloway, in protest of the recent court decision that determined that Jewish students do in fact, have rights. Only 3 actual students showed up, so they used string, yes string, to "block the tracks"
"We were part of the con, and we knew it." Earlier this week, the Israeli humanitarian-aid organization IsraAID announced that it's planning to send a response team to Mozambique after the African country was hit by the cyclone on March 14 after days of incessant rains. "As we offer our prayers for the safekeeping of those still unaccounted for and mourn the tragic loss of life in Mozambique, we are doing all we can to ensure the most immediate and urgent needs are met," said JDC CEO David M. Schizer. "The imperative to aid survivors and begin their healing process is crucial on what will be a very long road to recovery." The flamenco pop band, Gipsy Kings were in Israel for a series of concerts. 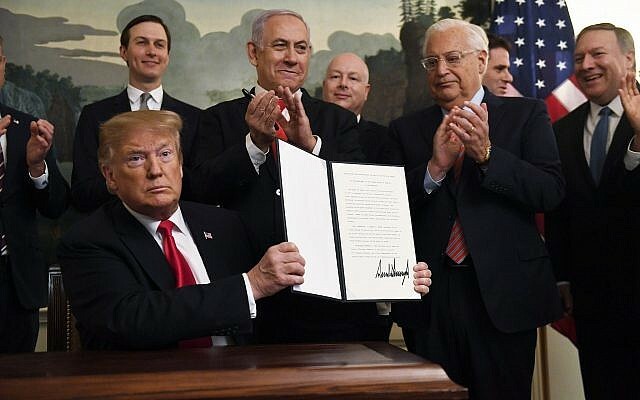 Despite the accidental murder of Chico Castillo's brother in a case of mistaken identity by Mossad years back, Chico refused to boycott Israel. The band played classics and some new songs during their tour in Israel.